Whether you're vacationing or staycationing in Sydney, these hotels will have you sleeping in soft linen, eating in fine restaurants and relaxing in big spa baths. When it's only January but you already need a vacation, sometimes the best option is to have a sneaky weekend getaway without leaving Sydney at all. There's something undeniably romantic about staying in a hotel room in your own city. It should be mandatory for us all, at least once in a while, to take a break from the drudgery of life and to become the best version of yourself — that is, the hotel version of yourself. And a staycation in Sydney has never been better, with a heap of stunning new designer hotels opening in Australia in the last 12 months. 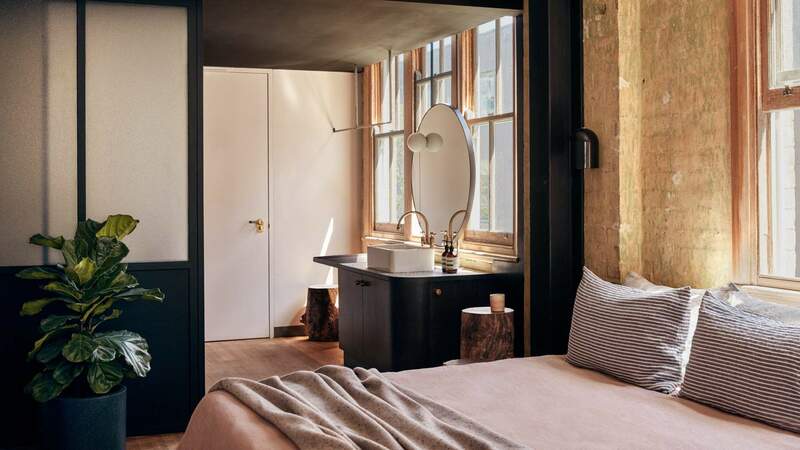 Sydney has quite the cornucopia of boutique hotels, from heritage-listed warehouses and Victorian mansions to hotels where you get to choose your own room. There are some seriously impressive (and incredibly designed) hotels awaiting your arrival. Pencil one into your 2019 calendar as soon as possible. 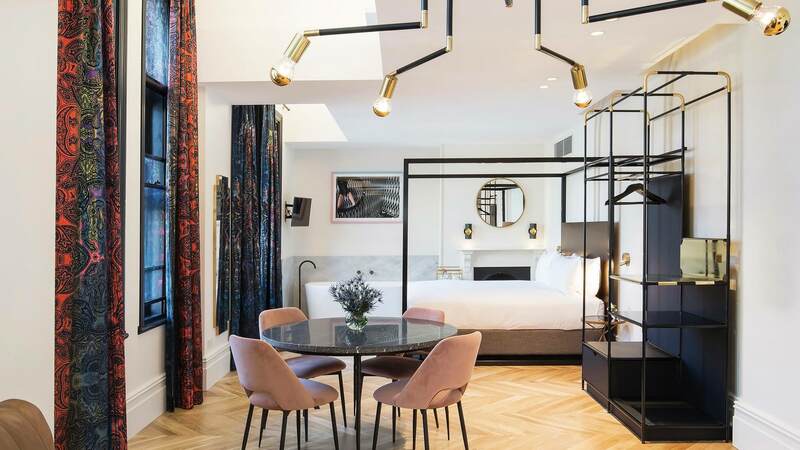 When Paramount House Hotel was first announced back in August 2017, the hotel promised it wouldn't be your standard luxury hotel, but rather an experience that would embed patrons into the culture of Sydney's inner city suburb of Surry Hills. All we can say is that, when it opened in 2018, it delivered on that guarantee. Set in a 1940s warehouse above Paramount Coffee Project, the 29-room hotel features soaring ceilings with exposed brickwork and rafting and even has a rooftop gym and cafe. And while there are luxury copper finishes, Jardan sofas and premium kilim rugs from Pakistan, the appeal of the place is less tangible in its nature. It's both the vibe and history of the surrounding community that make Paramount House Hotel a special addition. Paramount House Hotel is located at 80 Commonwealth Street, Surry Hills. Make a reservation here. From rooms inspired by wine vintages to ones that a spy might book for the night, Camperdown's The Collectionist is set on offering patrons something different. The place has a rather unique approach, in that it lets you pick which one of its 39 rooms you want to spend the night in when you check in. Billed as a 'choose-your-own-adventure' hotel, it's meant to be a highly individualised experience, with patrons touring the rooms and getting their access code via SMS. 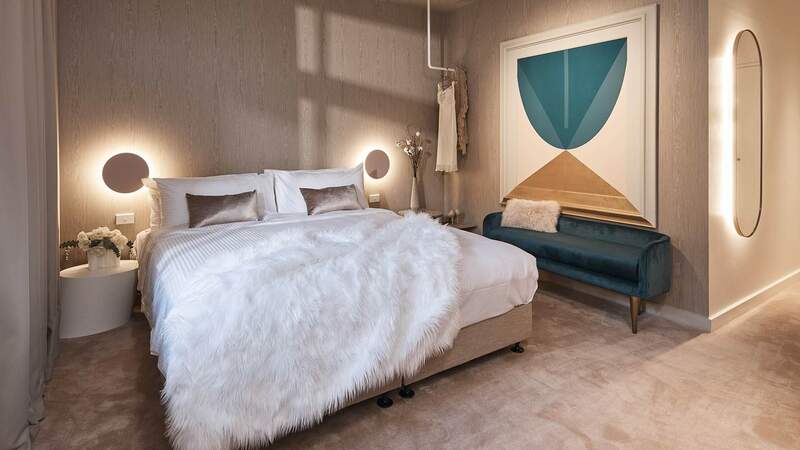 The hotel has collaborated with seven designers and 13 artists to create the innovative experience and each space features its own distinctive colours, textures and mood. While there's no restaurant on-site, the lobby hosts a daily happy hour from 4–8pm. The Collectionist Hotel is located at 9–13 Marsden Street, Camperdown. Make a reservation here. 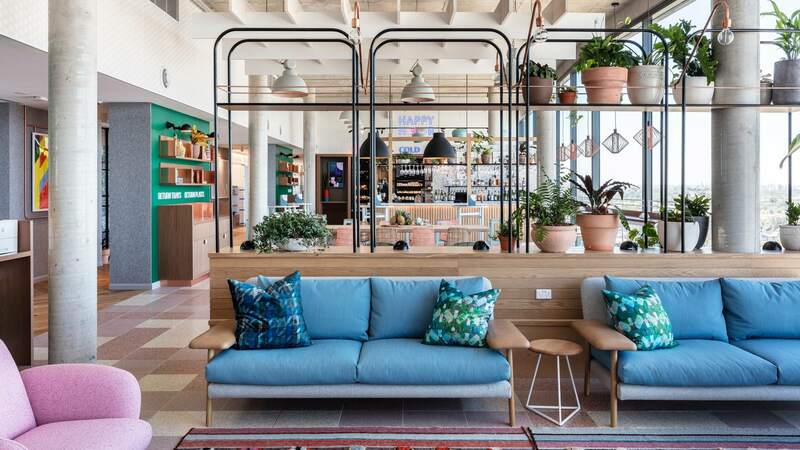 Named after Australia's renowned thoroughbred company, William Inglis and Sons, Western Sydney's latest hotel is a sure thing if you're after a mini Sydney staycation. 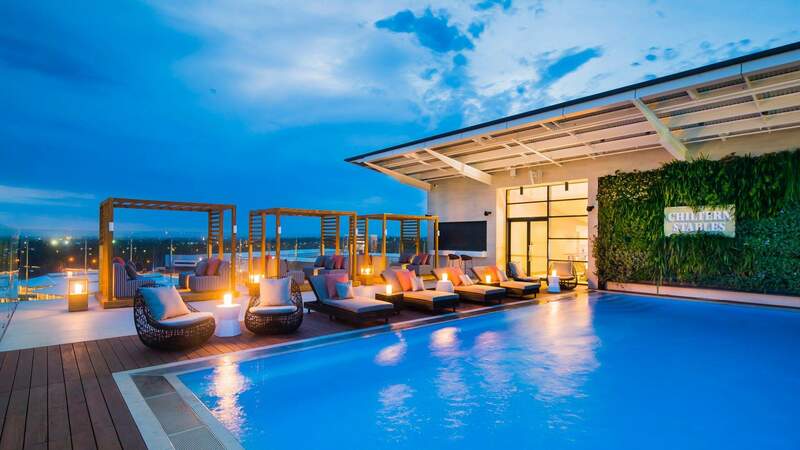 As part of the Sofitel's MGallery collection of boutique hotels, the William Inglis Hotel's centrepiece is its fresh rooftop bar boasting a pool and stunning panoramic views of the surrounding Warwick Farm. Once you've built up an appetite, head downstairs to the Newmarket Room, a paddock-to-plate restaurant led by chef Sercan Kesici. Whisky fans will be at home here, too — the mezzanine's 1867 Lounge serves high-end cocktails and boutique wines. William Inglis Hotel is located at 155 Governor Macquarie Drive, Warwick Farm. Make a reservation here. 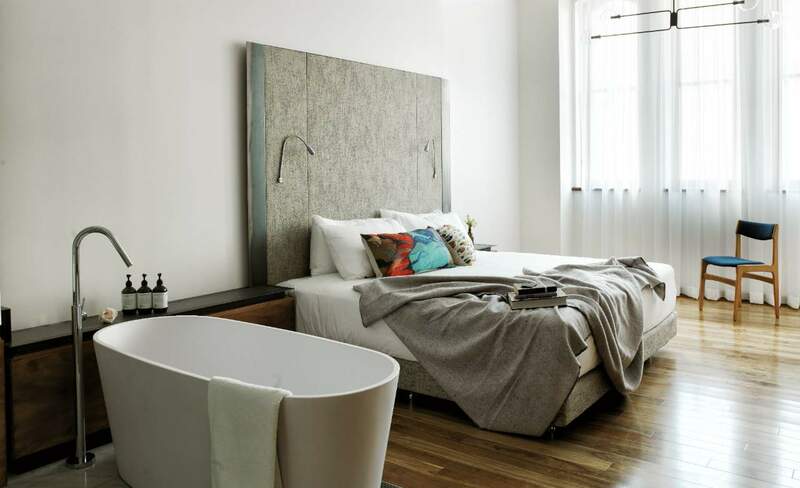 Since its highly anticipated re-opening back in 2015, Chippendale's Old Clare Hotel has held a firm place as one of the city's best boutique hotels. Reborn from the (metaphorical) ashes of the historic (and dearly beloved) Clare Hotel and adjoining Carlton United Brewery Administrative Building, the hotel boasts 62 rooms and suites featuring high ceilings, heritage timber panelling and exposed brick walls, furnished with pendant lighting and vintage furniture. Further hotel amenities include a rooftop pool and bar, private gym and a heritage meeting space, as well as in-room massage services. Guests can also take advantage of custom-made bicycles to explore the surrounding neighbourhood. At night, simply relax at The Clare Bar, or at one of the hotel's restaurants: Automata and A1 Canteen by head chef Clayton Wells (ex-Momofuku Seiobo) and eastern Mediterranean restaurant Barzaari Chippendale, which also offers room service to hotel guests. The Old Clare Hotel is located at 1 Kensington Street, Chippendale. Make a reservation here. 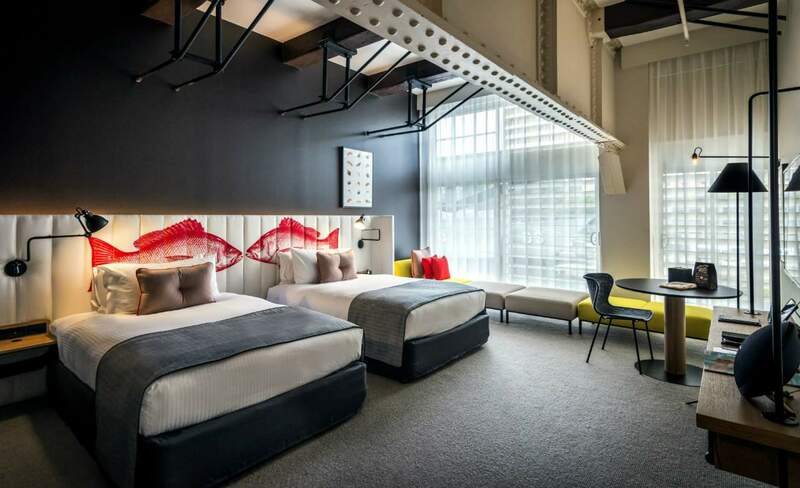 Situated in a gorgeous heritage-listed building in Sydney's harbourside suburb of Woolloomooloo, the Ovolo is a concept boutique hotel that has plenty of character. The amount of free amenities and offerings for guests is unrivalled, including continental breakfast, a free in-room mini bar, happy hour drinks in the evening and ultra fast wifi. Plus, each room comes with a smart TV with Foxtel and there's an indoor pool and gym, too. The stunning rooms are all generous in size, the facilities are open 24 hours a day and flexibility lies at the heart of every feature. Now, the hotel is also a go-to for culinary delights, thanks to the newly opened plant-based restaurant Alibi. It's the first Australian venture by world-famous vegan chef Matthew Kenney, who hails from California. The menu is big on creative combinations of fresh, local and seasonal ingredients, and the new drinks list focused on Australian drops. 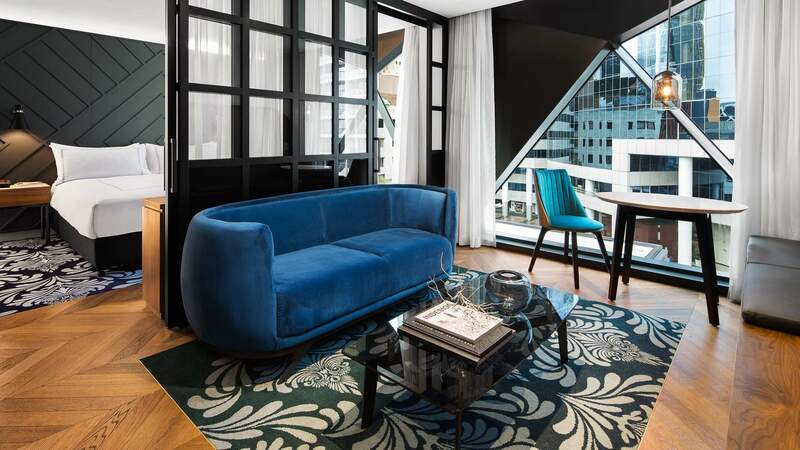 Ovolo Woolloomooloo is located at 6 Cowper Wharf Road, Woolloomooloo. Make a reservation here. Take a trip into the Victorian era among the marble fireplaces, high-ceiling dining rooms, antique furniture and spectacular staircases of The Hughenden. Built in the 1870s by the son of philosopher Barzillai Quaife, this 32-room mansion started life as a residence and spent some time as a dance hall and ladies' college before falling into disuse. In the early 1990s, the Gervay family came along and transformed it into a boutique hotel. More recent redecorating has seen each room given an individualised treatment — six of which are pet-friendly, too. The deluxe rooms include antique fireplaces, a balcony, spa bath and seating area with bespoke vintage couches. And Centennial Park is just across the road for your morning promenading convenience. 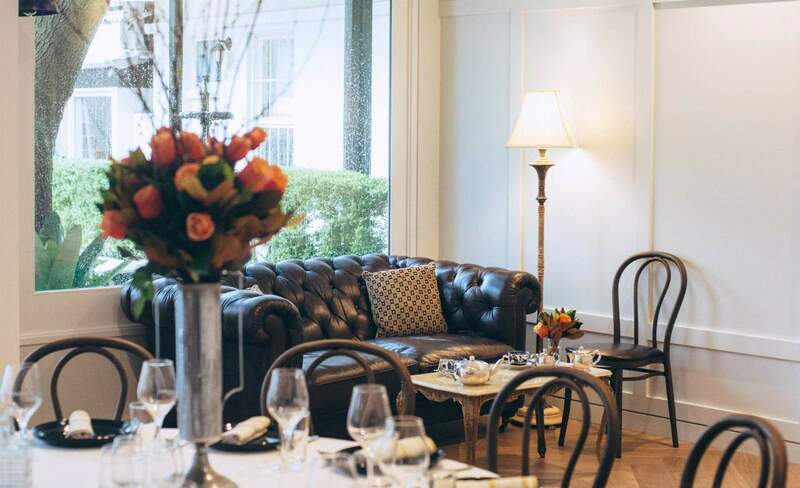 The Hughenden is located at 14 Queen Street, Woollahra. Make a reservation here. 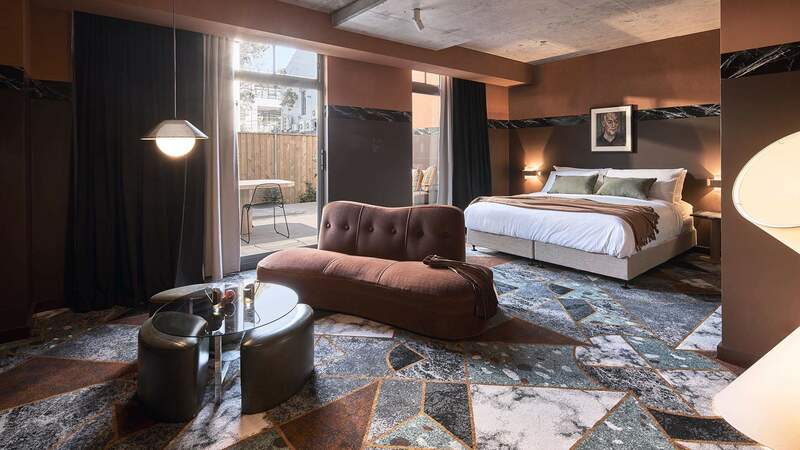 Little Albion Guest House is a luxurious 35-room operation in the heart of Surry Hills. It was launched back in July 2018 by 8Hotels, but has since been acquired by the Crystalbrook Collection hotel group. This guest house is pitched as a fusion of hotel and home and, if you've got a lot of mates, you can even book out the entire hotel for a couple of nights — it comes with 24-hour service and brekkie. But, even if you're just booking one night, you'll get to lounge around in designer interiors amongst a covetable art collection, a rooftop garden complete with an outdoor shower and panoramic city views, and an honour-system bar, where guests can help themselves to high-end nibbles and drinks. Little Albion Guest House is located at 21 Little Albion Street, Surry Hills. Make a reservation here. Airport accommodations are normally pretty drab, but the lively Felix Hotel is bucking this trend with a truly first class stay. Inspired by the 1960s Golden Age of air travel — that is, before budget airlines made you pay for water — the seamless experience starts from the get-go with guests heading straight to the top-level penthouse to check-in. From here, overlooking the runway, guests can enjoy the rooftop cinema, a 24-hour general store and a colourful cocktail bar that'll undoubtedly be a departure from the monotonous airport hotels that you've grown accustomed to. Felix Hotel is located at 121 Baxter Road, Mascot. Make a reservation at here. Every one of QT Sydney's 200 guest suites have been carefully crafted to reflect and honour the historic Gowings and State Theatre buildings in which it resides. QT's exterior is a striking blend of Gothic, Art Deco, and Italianate influenced architecture, and inside, the luxurious rooms carry through art deco aesthetic. Its location right in the centre of the commercial district and alongside one of the city's most famous theatres makes it a favourite with out-of-towners, while locals can often be found making the best of its various bars, bistros and restaurants like Gowings. Want to stay a little closer to the beach? Hop over to the QT Bondi for a coastal escape. QT Sydney is located at 49 Market Street, Sydney. Make a reservation here. It's hard to ignore the West Hotel's 'Chanel handbag' façade, which, according to designers Fitzpatrick + partner, was the visual representation of the hotel's entire space and vibe. 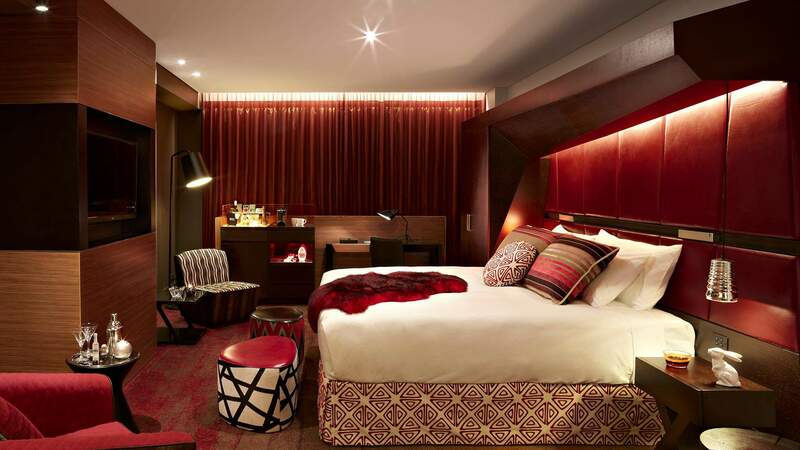 Set on the Darling Harbour waterfront, the 182 designer rooms feature bold furnishings aimed at judicious travellers who seek out luxury. With botanical motifs abound, there's also an open air atrium serving as an oasis from the busy city streets below. The restaurant, Solander Dining, embraces sustainable seasonal produce from across New South Wales, while the accompanying bar is the perfect spot to enjoy some boutique drops while seated at a mesmerising emerald-green terrazzo marble counter. West Hotel is located at 65 Sussex Street, Sydney. Make a reservation here. Just a ten-minute walk from Circular Quay and The Rocks, The Langham is the epitome of boutique indulgence. 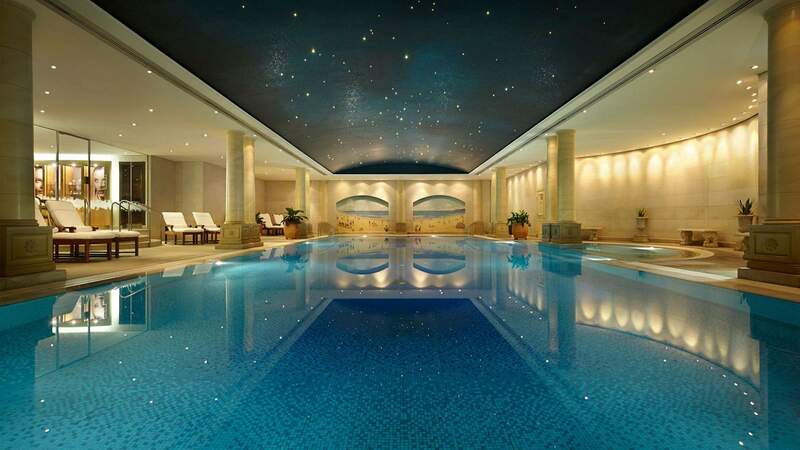 With only 98 exquisite rooms on offer, demand for even just one night at this Sydney institution is high all year round, and with facilities like its fitness centre, sauna, day spa and a spectacular 20-metre indoor pool with a star-dappled sky ceiling, there's almost no reason to explore the amazing areas that surround it. Within the five-star suites, expect plush furniture, high ceilings and large windows over-looking the western side of the harbour. Bed and breakfast specials are also on offer, as is a 'pampered pets program' — making it one of Sydney's only pet-friendly accommodation options at luxury level. The Langham Sydney is located at 89-113 Kent Street, Millers Point. Make a reservation here. 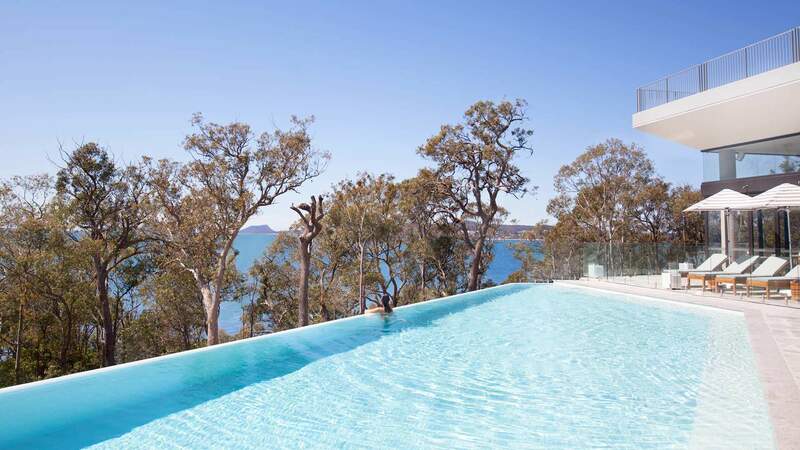 Bannisters opened its much-anticipated third NSW hotel in Port Stephens back in October 2018. With two already in Mollymook, the boutique chain's latest outpost is perched on absolute beachfront in Soldiers Point. The brand spanking new luxury digs includes 50 rooms with stunning views, four super-luxe suites and, for very special occasions, a penthouse. Depending on where you choose to stay, you'll be looking out at either the tranquil waters of Nelson Bay or dense forest – or both. Wherever you sleep, you can look forward to light-filled spaces, Hamptons-inspired whites, king-sized beds and decadent touches. Among the common facilities is an infinity pool — looking out across the river — and the Terrace Bar. If you're keen to indulge, be sure to book a table at Rick Stein at Bannisters, also on the water. Stein, together with head chef Mitchell Turner, has come up with a menu big on premium seafood. Bannisters Port Stephens is now open at 147 Soldiers Point Road, Soldiers Point. Make a reservation here. Top image: The Collectionist Hotel by Terence Chin Photography. CORRECTION: JANUARY 15, 2019 — This article previously stated that the Little Albion Guesthouse was owned by 8Hotels, but it was acquired by the Crystalbrook Collection group in November 2018. The copy above has been updated to reflect this.